Love music? Love movies? Enjoy both with these amazing soundtracks. Films have brought us both tears and belly laughs. However, behind every one of our favorite movies is a soundtrack that keeps us hooked, even after the credits roll. We've compiled a list of the ten best movie soundtracks of all time and where you can find them online. This album has a little something for everyone. The soundtrack in its entirety is only 39 minutes long. Ah, Dirty Dancing. There's nothing quite like Patrick Swayze and his sweet dance moves. First released in 1987 following the film, the Dirty Dancing soundtrack sold 11 million copies and stayed on the top of the Billboard album charts for over four months. Featuring hits such like "(I've Had) The Time Of My Life," performed by Bill Medley and Jennifer Warnes, as well as "Hungry Eyes," performed by Eric Carmen, this soundtrack will have you trying to do the famous air lift for hours on end. The songs are timeless and are sure to conjure memories from the past. There are some sensitive messages behind some of the titles on the soundtrack, which may not be suitable for younger ears. Although Footloose is a staple when it comes to film, the soundtrack is full of hits specifically written for the film itself. It's the perfect 80's mixtape, complete with songs such as "Let's Hear It for the Boy," performed by Deniece WIlliams and "Holding Out for a Hero," performed by Bonnie Tyler. Released in 1984, the original Footloose soundtrack is one of the top selling soundtracks of all time. It's also hailed as a fan favorite, being included in most top soundtrack and movie lists. This soundtrack is the perfect mix of bluegrass voices of the past and of the present. Want the entire movie soundtrack including unreleased tracks? You'll have to purchase the two-CD deluxe version, which will cost you more than the original. What could be better than a lead banjo? The soundtrack for "O Brother, Where Art Thou?" of course. Starring George Clooney, the film won a Golden Globe award and goes down in history as one of the best modern films in film history. The soundtrack features the favorite punchy track, "I Am a Man of Constant Sorrow," performed by The Soggy Bottom Boys, as well as many other bluegrass tunes. The soundtracks are inspiring, taking us on an emotional journey as we listen. You can purchase the soundtracks in their entirety, but it'll cost you. To save on cash, you'll need to purchase each movie soundtrack separately. As soon as the main title track for Star Wars is heard, everyone immediately knows what's on. Star Wars is held on a pedestal, being one of the most action-packed and rememberable sci-fi trilogies in our history. The soundtrack is no different. From the thundering instrumental of the main title track to the smaller moments throughout, the soundtrack takes you on an emotional journey through space and back. The music fits the film perfectly, with most songs reminding us of a moment in the film. There are songs from the film that are missing on the soundtrack. Fans of Martin Scorsese's Goodfellas will remember each song on this soundtrack fondly. From the smooth sound of Tony Bennett to the belting Aretha Franklin, this soundtrack places us right in the center of New York in 1955. Released in 1990, the soundtrack includes songs such as "Beyond the Sea," performed by Bobby Darin and "Sunshine of Your Love," performed by Cream. Each track was written specifically for the movie by the two leads, The Frames' frontman Glen Hansard and Marketa Irglova. Their voices are perfect together. For those who don't enjoy indie or folk tunes, this album isn't the best choice. The entire album sticks with this one genre. Written and directed by John Carney, Once is a 2007 Irish romantic musical drama starring Glen Hansard and Marketa Irglova. The movie was a box office success, bringing in approximately $23.3 million. The soundtrack is nothing short of brilliant, with songs written and performed by the leads, including the top track, "Falling Slowly". A musical set in Dublin, a guy and a girl meet each other, start writing music together, and over the period of several days, fall in love. It's the perfect modern love story between two musical artists. This is the perfect album to listen to when lounging or when you need a bit of background music while entertaining. It never gets old. If you don't enjoy Simon & Garfunkel, you won't enjoy this album. Each song was written and performed by the pair. Is Simon & Garfunkel your cup of tea? If so, The Graduate soundtrack was created just for you. From the "Sunporch Cha-Cha-Cha" to the "Scarborough Fair," this album will take you back to a simpler time. The Graduate soundtrack won a Grammy for Best Original Score Written for a Motion Picture and numerous other awards. Rightfully so, as this album fits the film to a tee. This soundtrack is perfect for everyday listening, whether on your commute or relaxing at home. The original soundtrack comes with dialogue throughout the soundtrack. You'll need to skip them to keep your music flowing, or purchase the soundtrack without dialogue. Bradley Cooper and Lady Gaga star in A Star Is Born, a film released in 2018. The soundtrack is performed entirely by the two, featuring heavy rock sounds mixed with intimate acoustic moments. The songs include fan favorites such as "Shallow" and "Always Remembers Us This Way". 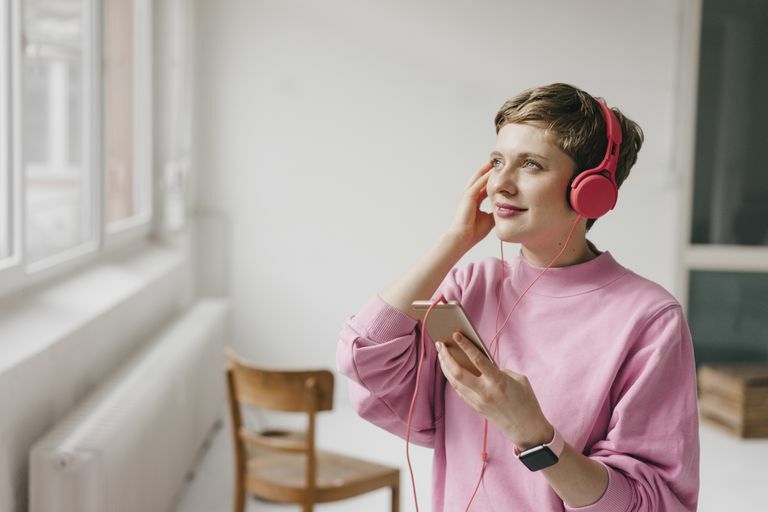 Unlike other soundtracks on this list, it's the perfect soundtrack to play all day long, whether on the go or relaxing at home. There's something on this soundtrack for everyone, from Bradley Cooper's guitar solos to Lady Gaga's smooth notes. This soundtrack's electronic sound evokes memories of the 80s, with a twist. The soundtrack is an integral part of the film, instead of being an afterthought. There are quite a few instrumentals on this soundtrack that are similar to each other. In Drive, a Hollywood stuntman and mechanic also works as a getaway driver. This soundtrack is the perfect match, coming through the speakers with electronic sound and a mix of mystery and adrenaline. The entire soundtrack has a comforting and nostalgic 80s feel to it. The constant groove is perfect for getting pumped up for a workout or to help you focus on work. Experience songs such as "Nightcall" by Kavinsky, and "Tick of the Clock" by The Chromatics. With its soothing indie sounds, this is the perfect mixtape for relaxation. For a soundtrack this good, it isn't at all long enough, offering just under an hour of music. Zach Braff's Garden State is listed as one of the best movies of all time in many film-lovers' lists. The story of a troubled young man who travels home for his mother's funeral, it's full of emotion and bittersweet moments. The soundtrack Zach chose to accompany the movie is no different. It's completely chill and mellow, the perfect soundtrack to relax to. It's full of tracks from the early 2000's, some mainstream and some not so much, including "Don't Panic" by Coldplay, "New Slang" by The Shins, and so much more.